NFU president Meurig Raymond warned that the future of the UK’s agricultural stability was at risk. “I want to see a robust plan for increasing the productive potential of farming, stimulating investment and ensuring that the drive to increase British food production is at the heart of every government department,” he said. The union further blamed “poorly crafted regulation” for the decline in home produce, saying that EU and UK policies had “over-emphasized environmental rather than production outcomes and complicated the business of farming” and that farmers had littler power against multinational corporations. Farmers at the conference in Birmingham have urged politicians to step up their commitment to agricultural policies. The UK’s food production market is worth £26 billion per year, which only accounts for a small part of the total £103 billion attributed to the food industry as a whole. Projections from the farmers’ union suggest unless the government take drastic action to reduce dependence on foreign food, the UK will reach a “tipping point” within a quarter of a century, after which over half of the nation’s food will have to be imported. 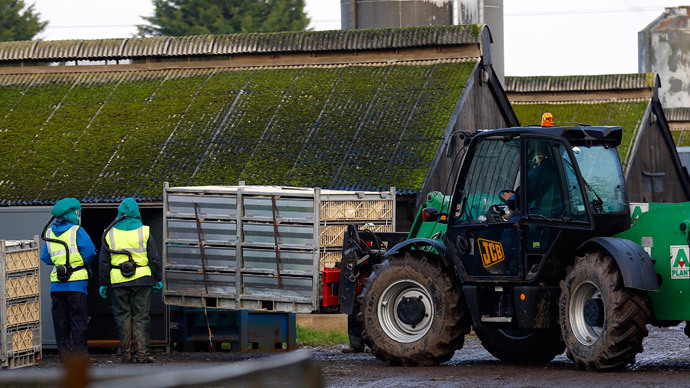 The problems facing British farmers have been exacerbated recently, with the price of milk plummeting after a glut of dairy products on international markets. The crash saw thousands of farmers threatened with losing their livelihood, and painted a picture of the future in which Britain imports its fresh milk. The Department of Environment, Food and Rural Affairs said it was committed to energizing the market by opening up trade on to international markets.